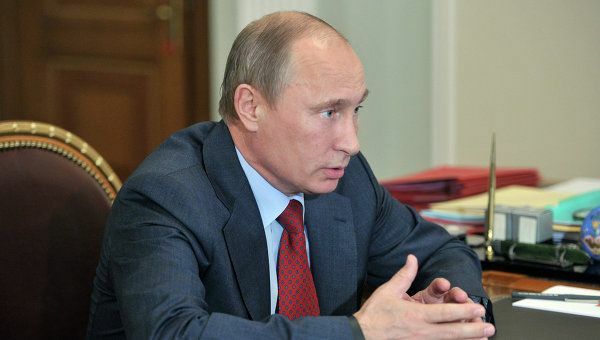 Moscow, April 16, Interfax – Russian President Vladimir Putin said the situation in the Middle East for Christians is terrible and the international community is not taking enough steps to protect them. “As to the Middle East and Christians, the situation is terrible. We have spoken about it many times and we believe that the international community is not doing enough to protect the Christian population of the Middle East,” Putin told reporters. He reiterated that Christians have lived in the Middle East for centuries and the place is the birthplace of Christianity. “It is sad that the international community now cannot defend people who need the protection of the international community,” Putin said. This entry was posted in Featured News, News and tagged Middle East, President Vladimir Putin, Russian President, Russian President Vladimir Putin, Vladimir Putin by Orthodoxy Cognate PAGE. Bookmark the permalink.